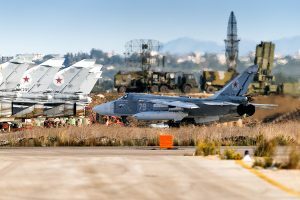 A Syrian rebel shelling destroyed at least seven planes in the Russian Hmeymim air base in western Syria, the Russian daily Kommersant reported. The loss was not acknowledged by the Russian defense ministry, which only admits to have lost two soldiers in shelling by rebels on New Year’s Eve. At least four Su-24 bombers, two Su-35S fighters and an An-72 transport plane, as well as an ammunition depot, were destroyed by the shelling, Kommersant said on its website, citing two “military-diplomatic” sources. 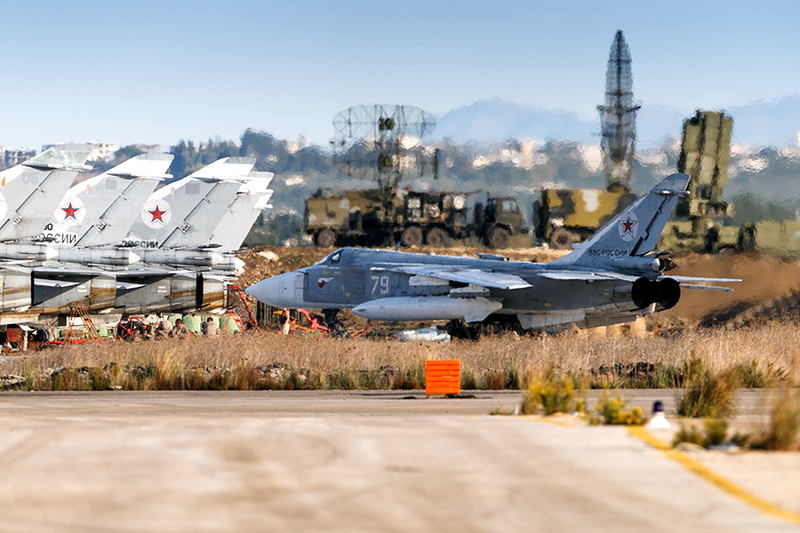 Last month, Russia began establishing a permanent presence at Hmeymim and a naval base at Tartous although President Vladimir Putin has ordered a “significant” withdrawal of his military from Syria, declaring their work largely done. Written by: Jaber Ali on January 6, 2018.on January 5, 2018. Posted by Jaber Ali on Jan 6 2018. Filed under Headlines, World News. You can follow any responses to this entry through the RSS 2.0. Both comments and pings are currently closed.